A nice fruity dessert. 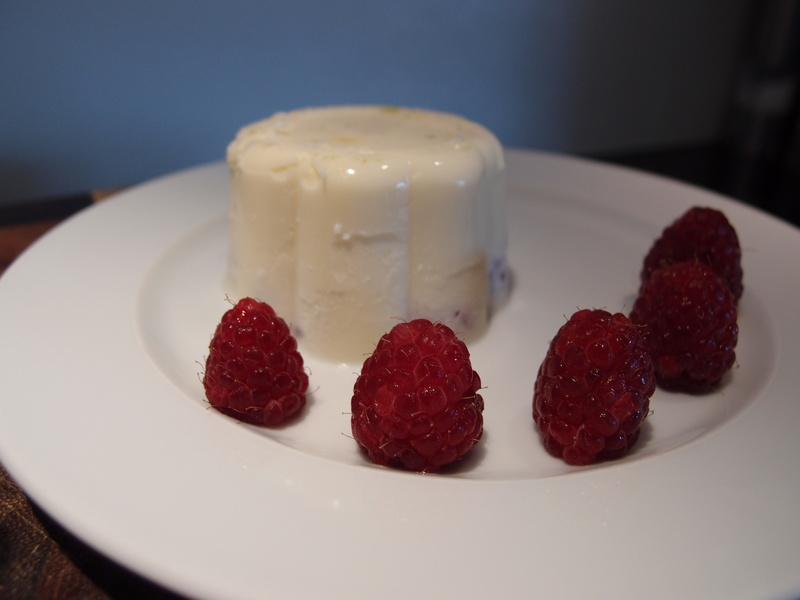 A panna cotta with some fruits inside. 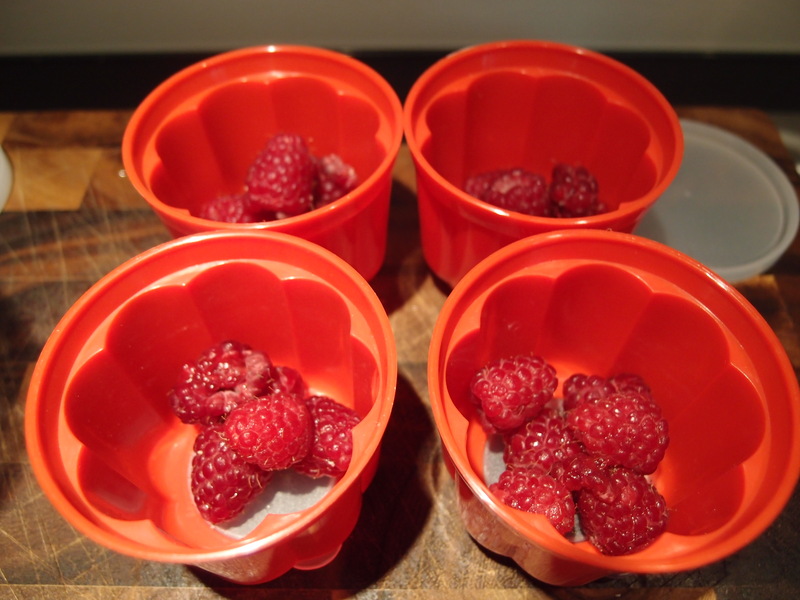 I used raspberries, but you can use any fruits at your choice. 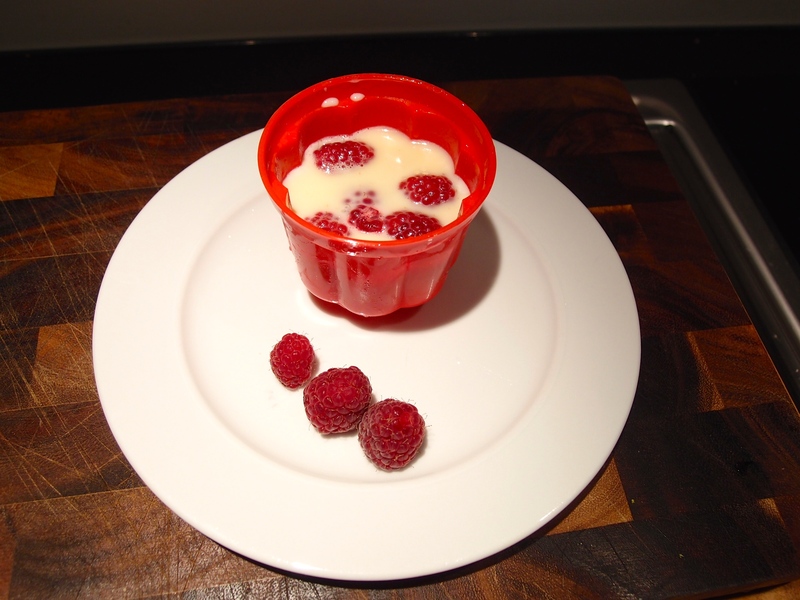 Put some raspberries (or other fruits) in the panna cotta forms. 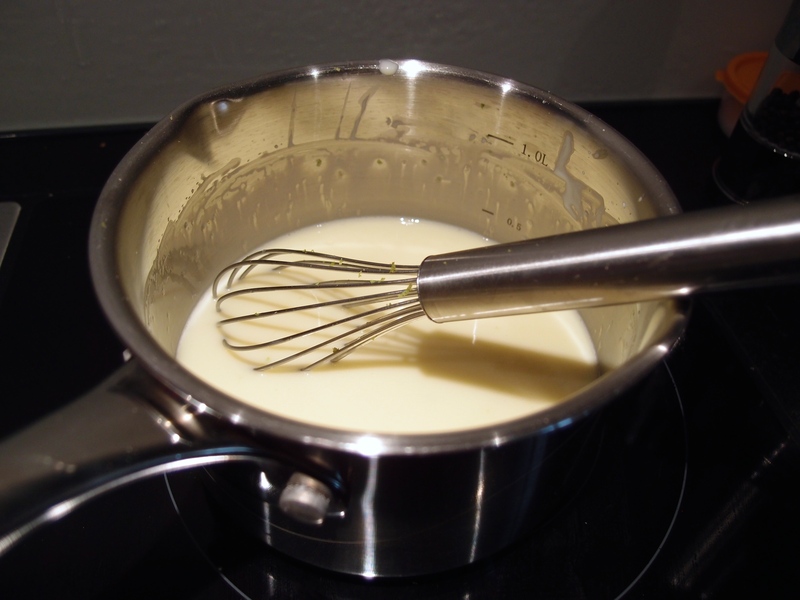 Put a pan on the fire and mix well the sugar in the cream (use a whisk). Add the lime grated skin. 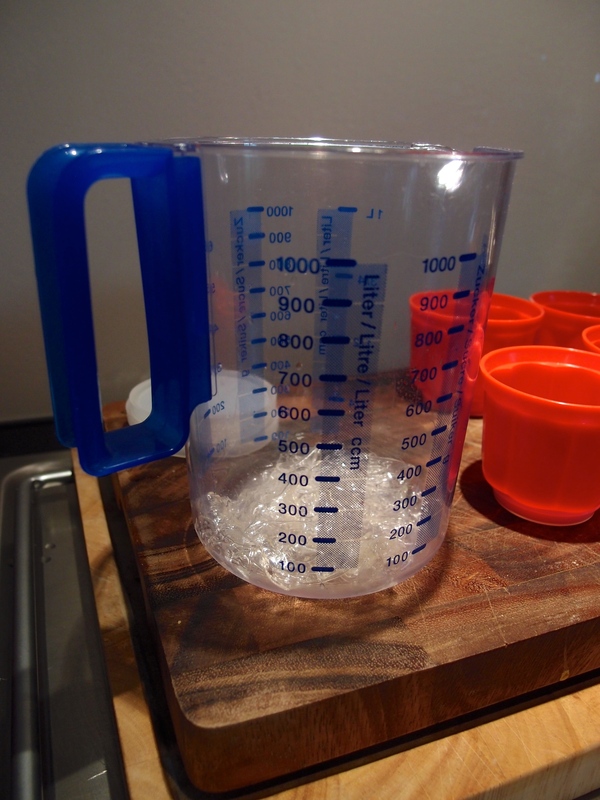 Keep mix until the temperature reaches 80-90°C and then add to the gelatine. 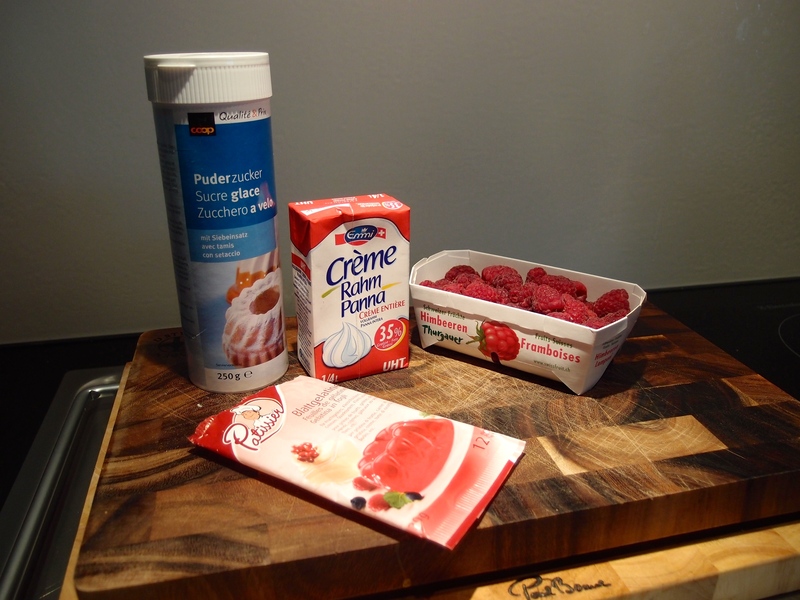 Mix the gelatine well into the mix and then pour into the 4 panna cotta forms. Put in the fridge for a couple of hours before serving. Enjoy!